Lois Brandt is a writing teacher who served as a Peace Corps volunteer in Cameroon, West Africa. She lives in Issaquah, Washington. Vin Vogel is a Brazilian illustrator and designer who has illustrated more than 45 children’s and young adult books in his native Portuguese and French. He lives in New York City. 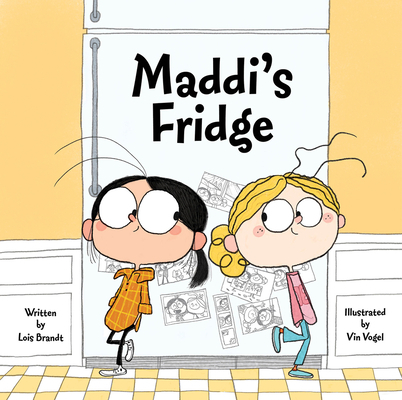 Maddi's Fridge has been chosen to be included on the grades 3-4 Great Texas Mosquito List for the 2019-2020 school year. The Great Texas Mosquito List is shared among all the schools, highlighted in the school and public libraries, and used by students to compete in the annual Great Texas Mosquito List Name That Book competition. In addition to the competition, the book is also a contender for the Great Texas Mosquito List Student Choice Award.